The recently updated new Chevrolet Spark 2012 is being noticed for the changes brought by General Motors and it is all set to go head to head with the Alto 800. But there are a couple of more cars in the entry level small car space and one of most complete contender, of them, is the Hyundai Eon. Though slowly, the Eon has started picking up sales but will it beat the Spark? 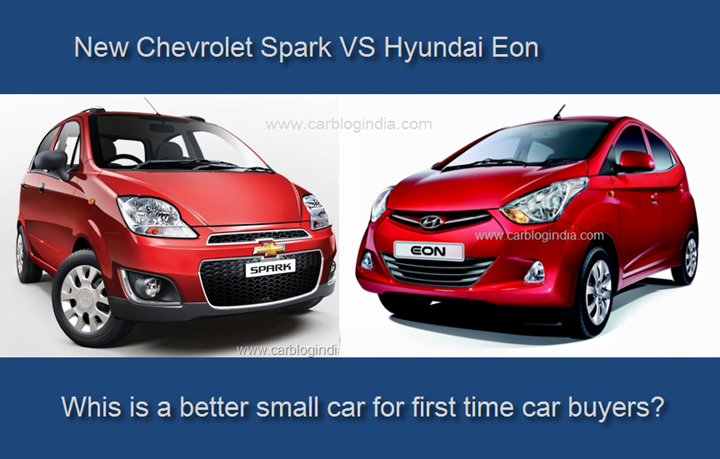 Let us find the same in the comparison of Chevrolet Spark Vs Hyundai Eon. The updated Chevrolet Spark looks a better car now but its design isn’t something that will appeal to everybody. The profile of the car is tall and one gets a nice view of the road ahead. Talking about the most important part of the new Spark, the Updates. The updated 2012 Spark features a new grille with chrome treatment on front bumpers and around fog lamps, dual tone rear bumpers with integrated reflectors. Evidently the Spark and Eon have the same length and width. The only difference lies in the wheelbase and height where Eon takes the lead. 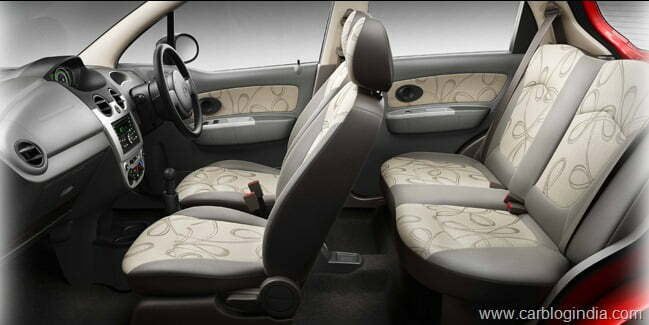 Talking about the interiors now, the Spark which gets a updated exterior does feature a retouched passenger cabin too. First and most noticeable change made is the light coloured interior trim with improved door trims for a more premium feel. Along with the new trims also comes a new instrument cluster design with digital analogue combination meters. Rest of it remains unchanged. 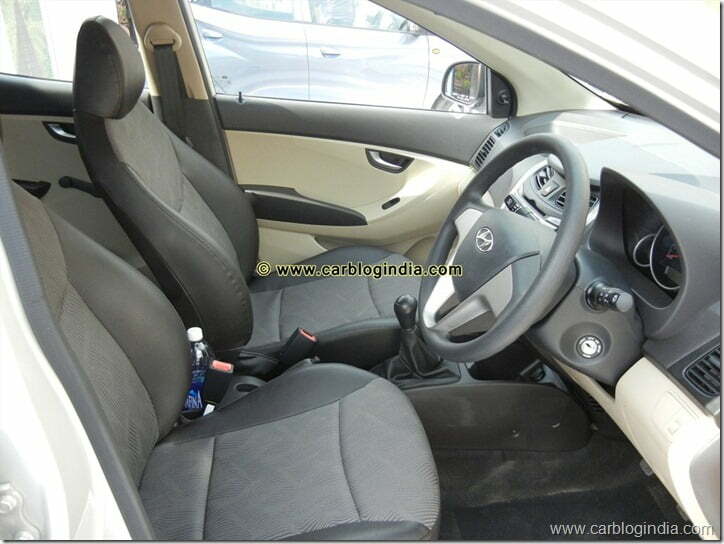 List of features includes rear defogger, front and rear power windows, power steering, AC, audio system with USB and AUX-in connectivity, silver finish on instrument panel, child safety locks for rear doors, central locking, tubeless tyres and more. 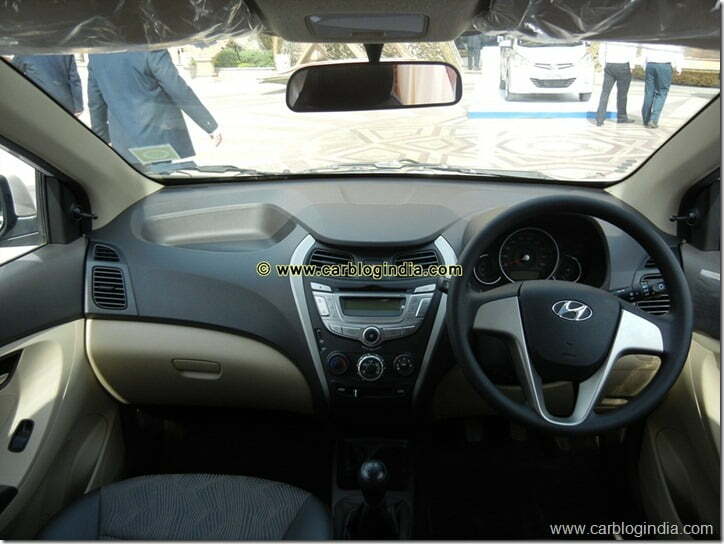 Hyundai Eon interiors don’t seem to belong to an entry level car as they look much better than that, for the price segment, the quality, visual appeal and aesthetics on the inside of Eon are much better compare to simple and subtle interior styling of the Spark. The features list includes tilt steering, audio system with USB, AUX connectivity, power windows, rear parcel tray, driver airbag, keyless entry, aluminium finish steering wheel, and much more. The Spark has a 1 litre engine engine with improved DDLI (Dual distributor less ignition) system which ensures smooth and fuel efficient performance. It puts out 63 BHP of max power and 90.3 Nm of peak torque, and comes mated to a 5 speed manual gearbox. The Spark returns 18 KMPL. The Eon equips a 814 CC engine that is slightly less powerful at 55.2 BHP of power and 75 Nm of torque. It also comes mated to a 5 speed manual gearbox. In terms of fuel efficiency the Eon returns 21.1 KMPL which is significantly better than Spark. The Spark handles well but is certainly not the type of car that will amaze you. The Eon is a little better on the ride & handling and comfort front. The new Spark is priced between 3.26 lakh and Rs. 3.8 lakh. The LPG + petrol dual fuel variants of the Spark start at Rs. 3.81 lakh and end at 4.1 lakh. The Eon petrol is priced between Rs. 2.75 lakh and Rs. 3.81 lakh. The LPG + Petrol dual fuel variants are priced between Rs. 3.32 lakh and Rs. 3.8 lakh. The new Spark is more powerful, looks good, returns decent mileage, and handles well. The Eon is more feature rich, is cheaper (some variants), returns better mileage, has better looks, and is more comfortable. So according to us, the Eon is no doubt a better car over the Spark.